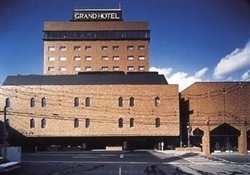 Hachinohe Grand Hotel Aomori, Hotel Japan. Limited Time Offer! More of aRead more Luxury establishment, this four star hotel is located in Aomori. Several amenities, notably Restaurant, Room Service are available at the hotel.This hotel offers a unique service : conference facilities.Practical information:This hotel has a parking.